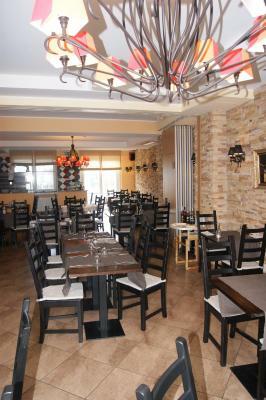 Lock in a great price for Hosteria Gusto – rated 8.3 by recent guests! 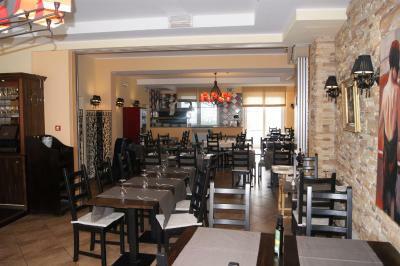 You feel at home in this small hotel combined with a very good Italian restaurant. I got a no-cost upgrade to a "suite" which was very pleasant, spacious, quiet and opening on a large terrace. The management (Sergio) and staff (Najet and Mimo) are incredibly warm and welcoming and made everything to make me feel comfortable. Enjoy Sergio's secret recipes and Najet's excellent assistance.There is a supermarket across the street and a bus stop around the corner which is very convenient. 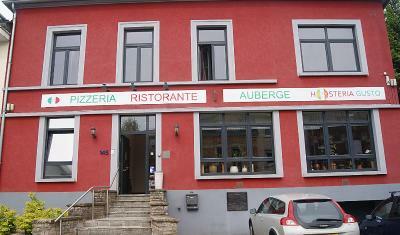 I was very happy of this choice and will definitely come back if travelling again to Esch-sur-Alzette. Nice auberge in a bit old fashioned style. 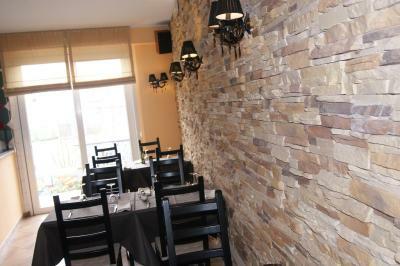 Lovely Italian restaurant, warmest welcome, great cuisine. Sergio and all staff were very helpful. A great place, either for a stop-over, or for a few days. Big Cactus supermarket is just a one block away. Comfortable and clean room. Also nice food in the restaurant. Very clean room and lovely shower. Staff was very friendly! Overall a lovely stay! Lovely place, Sergio was very helpful and forthcoming. Since we arrived by car late in the evening, we also enjoyed the location very much - right next to the motorway entering the city, so no way to get lost! I had a large and beautiful room with excellent airconditioning and a nice bathroom (with bath). It was kept very clean, the host was very helpful and friendly. The manager was absolutely lovely and super helpful. The place was quiet and clean, everything you could want. Sehr schönes Zimmer nach hinten mit Balkon. Das Essen in Restaurants ist sehr zu empfehlen und besonders freundliche Servicekräfte! Das Bett war sehr angenehm hart.Das Zimmer war extrem sauber.Für Konzerte in der Rockhal sehr zu empfehlen. Der Bus fährt 2 Minuten fussläufig vom Hostel ab. Das Ticket gilt auch als Fahrkarte. Wenn wir nochmal in die Rockhal gehen sollten,dann werden wir hier übernachten.Ach ja,Hunde haben nichts extra gekostet!!! All rooms include a TV and a private bathroom with a shower or a bath and free toiletries. Some rooms also feature a balcony and/or a seating area. A wholesome breakfast is served every morning. Weather permitting, you can sit out on the terrace and relax with a drink. The brasserie is a place to unwind with your friends or family. 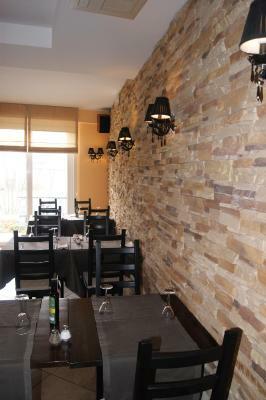 In the restaurant you can taste foods from the region and Italian dishes. 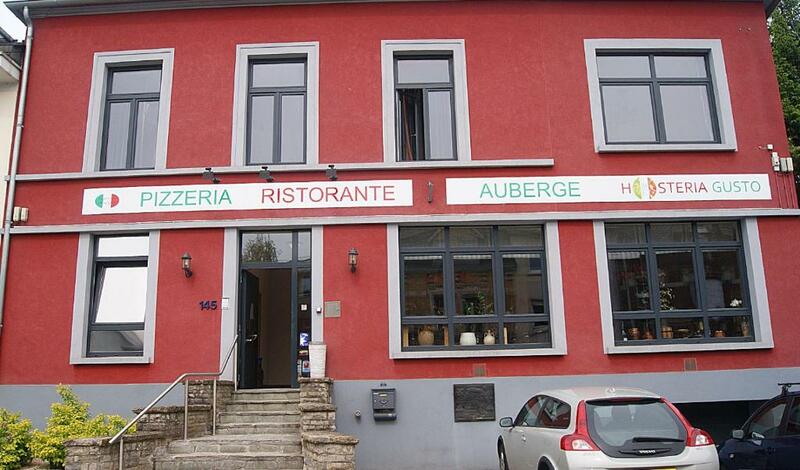 Hosteria Gusto is 3 minutes from the A13 and A4 Motorway and a 5-minute drive from Esch-sur-Alzette city center. Luxembourg is 9.9 mi away. When would you like to stay at Hosteria Gusto? This room comes with a private bathroom with a shower. Some rooms feature a balcony. This suite consists of a terrace, a living area with a sofa and a canopy bed. The private bathroom is fitted with a shower and a bath. This room comes with a private bathroom with a shower or a bath. This spacious room comes with a private bathroom with a shower. Some rooms feature a balcony. House Rules Hosteria Gusto takes special requests – add in the next step! Hosteria Gusto accepts these cards and reserves the right to temporarily hold an amount prior to arrival. Please note that the restaurant is closed Sunday evening and Monday the entire day. There is no lift (all room are at the 1st floor but it could be uncomfortable if you have to carry heavy luggage). Nothing to say, a road maybe a bit too close, so morning traffic could be a nuisance. Pretty far from a railway station, the walk is not the best under a poor weather. Room a little noise from the street outside.Too many gaps around the curtains. Spacious room,good bathroom and shower. The restaurant at the hotel is sublime. The price was slightly on the higher side. Staff very friendly, restaurant delicious. Room too small. No reception on arrival. Was not able to eat . Restaurant closed sunday and monday without notice when making the reservation. Taxi do not take business card in that city? I'm not a huge fan of the continental style breakfast. WiFi was weak in the rooms and there was no fridge in the room.